Full loaves of white bread, wheat bread, rye bread, white herb bread or ginger sorghum molasses cookies will be available for a donation during Prairie Days in the General Store. 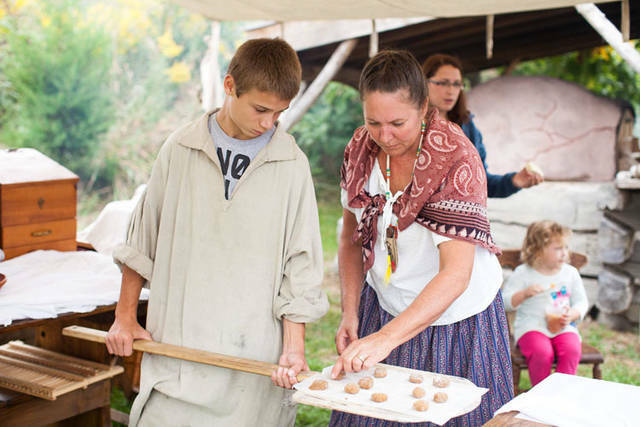 Volunteers will demonstrate how pioneers would have made homemade bread in the outdoor bake oven, also known as the cob oven, at the 2018Prairie Days festival. Visitors will see demonstrations including soap making at the 2018Prairie Days festival. Guests will see a broom maker making corn brooms at the 2018Prairie Days festival. 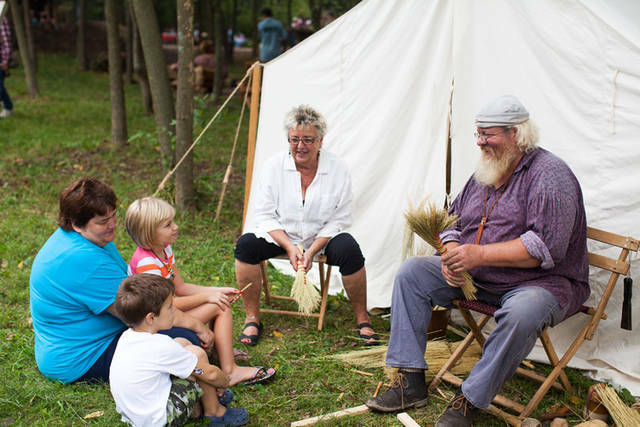 GREENVILLE – Once again, Prairie Days will feature many historical demonstrations. 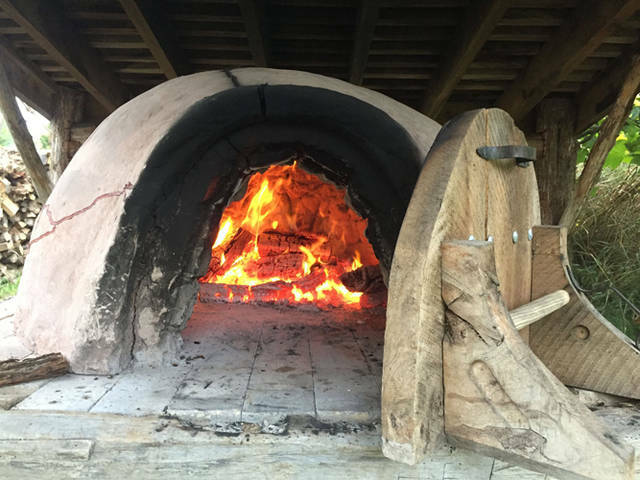 Volunteers will demonstrate how pioneers would have made homemade bread in the outdoor bake oven, also known as the cob oven. This style oven is operated by building a fire inside in order to preheat the earthen structure; afterwards the coals are removed and the baking surface prepped with cornmeal to prevent sticking. The bread dough, cookies or any other baked goods can then be baked before the oven cools down again. Also back this year are the sorghum pressing and boiling demonstrations. Individuals can journey to the prairie to witness stalks of sorghum, grown nearby, pressed to release their sweet juice. After capturing the sweet liquid from pressing the stalks, volunteers will boil it down similar to making maple syrup. The processed sorghum, also known as sorghum molasses, will be available for a donation while supplies last. 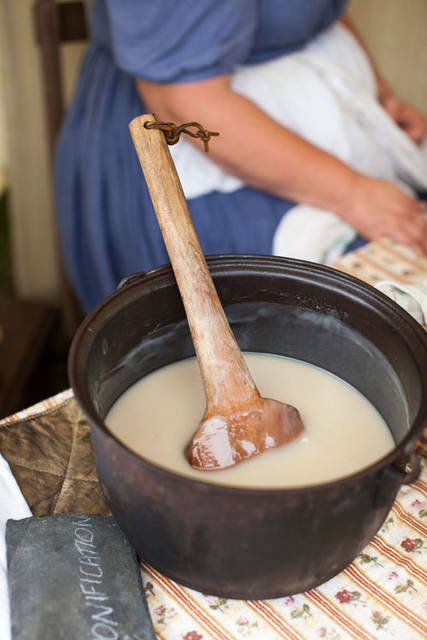 In addition to these demonstrations, visitors also will see blacksmiths working in the shop, a broom maker making corn brooms, soap making, apple butter boiling over an open fire and many more historical demonstrations. Community members can come check out all of these trades and all the other fun, educational and family friendly activities at the 2018 Prairie Days festival from 10 a.m. to 5 p.m. Sept. 29 and from noon to 5 p.m. Sept. 30. The event will be held at the Shawnee Prairie Preserve and has plenty of free parking and free admission. For questions or more information, call the Nature Center at 937-548-0165 or email info@darkecountyparks.org.